Most of us are dealing with cold, ice, and/or snow right now (we don’t like you Florida people). I’m over this weather and ready for spring. The only good thing about the cold is that it’s perfect weather for White Chicken Chili. This recipe is so easy and only 5 ingredients! 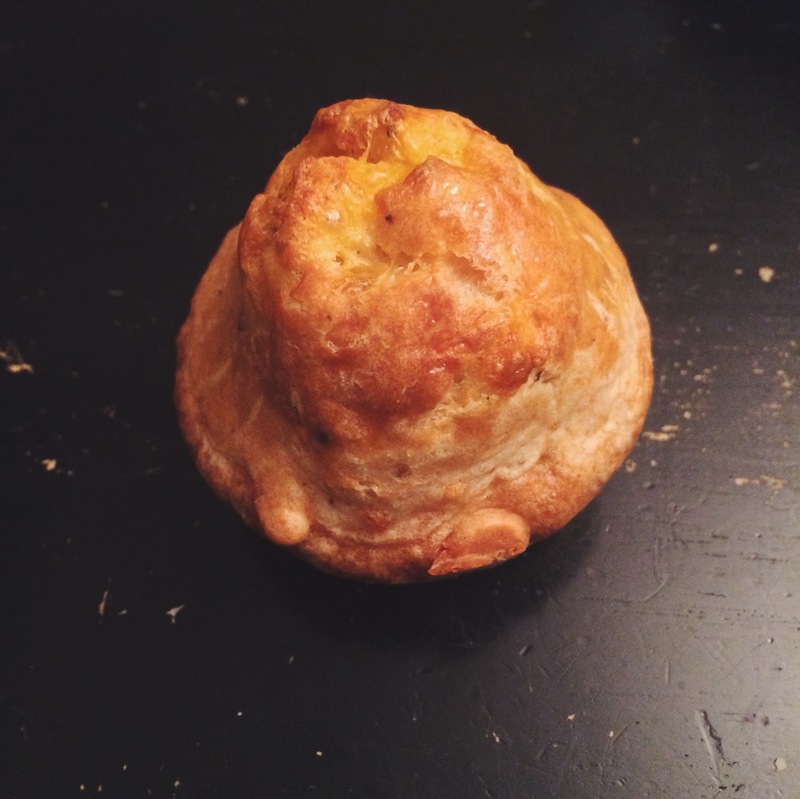 I also decided to attempt Cheese Popovers to go with the chili. I’ve been wanting to make popovers for a while and this seemed like a great night to try it out. I read the recipe several times to make sure that I didn’t mess it up. I’m terrible with new recipes and I really wanted the popovers to turn out perfect. They were easy to make and turned out perfect! Then I took a bite…and something tasted…off… They didn’t taste horrible, but there was a “unique” flavor that was dominating the rest. I finally came to the conclusion that it was probably the almond milk and next time I might have to find an alternative.Then I checked the almond milk and realized that I bought vanilla almond milk. Mystery solved! This isn’t the first time I’ve made this mistake and my vanilla mashed potatoes were a big fail! Maybe next time I’ll make sure to buy the right almond milk or use the vanilla one to make these. Maybe I should write a cookbook about all of my cooking fails and title it “Don’t Cook Like This“.